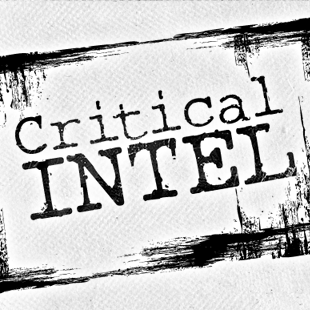 Critical Intel turned one-year-old last week, but I didn't notice. A month ago my dad passed away from an aortic aneurysm. We had no warning. Everything went on hold as I rushed back to the U.S. for his service. When someone dies suddenly there are a lot of jobs left to do. One of mine was organizing my dad's Vietnam papers. It was by turns painful and fascinating, a chance to learn new things about my father and a reminder of all the things I'd never know. As I leafed through newspaper articles and crumbling draft cards, I felt a dawning realization: Most of what I knew about my dad's tour of duty came from movies we watched together. My dad had used these films as a teaching tool, much like I use games to examine real-world issues in this very column. That epiphany has convinced me of something I've felt for a long time, but haven't yet said in public-we need more combat veterans writing about games. My dad served as a radiotelephone operator in the 9th Infantry Division. Initially his combat duties sent him on search and destroy missions and amphibious landings as part of the Mobile Riverine Force, but that soon changed. Partway through his tour he volunteered for the division's long-range reconnaissance patrol unit, a special forces group that briefly replaced the Rangers during Vietnam. LRRP teams were six man units that would insert into hostile territory via helicopter in order to locate the enemy, search for downed pilots, or ambush VC patrols. It was dangerous work. When his first tour ended and the Army ordered him to stateside duty, he avoided it by signing up for a second combat tour as a radio advisor to the Royal Thai Army. Between 1967 and 1968 he survived one and a half combat tours, two helicopter crashes and the Tet Offensive before a VC rocket knocked him out of the war. He'd also seen and done things that he found difficult to talk about, even with people he loved and trusted. Yet he still wanted people to understand him. Because those memories were too uncomfortable to deal with directly, he often used an intermediary medium to tell me about his war experience. Sometimes it was a military museum. On very rare occasions, he guided me through his photos and war memorabilia. But dad's favorite way to tell me about the war, hands-down, was the movie theater and video store. The first Vietnam film I saw with my dad was Operation Dumbo Drop. It was the week of my eleventh birthday. The film itself is terrible-a Disney-produced children's comedy about the Vietnam War-but I'll never forget how it opened a part of my dad I barely knew existed. As we drove home in the car, visitation day over, my dad talked about the war for the first time. It was all kid-friendly stuff, mostly about the importance elephants hold in Vietnamese and Thai culture, but it was a start. I asked him if he'd fought, and he said yes. I asked my dad how many people he'd killed. Years later, I still regret that question. My dad stiffened with an emotion I'd never seen before: Vulnerability. He said, too quickly, that he didn't know. In a battle the enemy is far away, he said, and you often can't see what you're shooting at. That question killed the conversation dead, but there were other times and other films. The campaign had started.